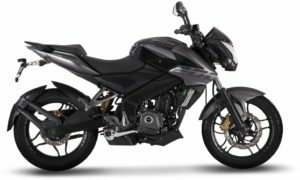 Bajaj Auto Ltd. recently launched Pulsar NS200-ABS.Its price is approx Rs 1,10,000 (ex-showroom,price may vary).It is approx 12,000 more then the NON-ABS variant available in market.Although mileage of the Pulsar NS200 is remain same and there is no particulate changes in motorcycle. Bajaj Auto Ltd,early this year launched BS-4 version of pulsar NS200 .It gives direct competition to Apache rtr 200 and other 200cc bikes in this category.This is much awaited version of Pulsar NS200. Many customers were looking for this. Body paint and graphics of pulsar ns200 is really amazing.White line across the bodysuits perfect and gives bold look to the bike.Mainly bike is available in three colors. Pulsar NS has really Stylish mag wheels with red reflectors. The 55v halogen lamp is perfect for the night ride. It has Tubeless Tyre which is good for long highway rides. Nitrox Monoshock Suspension is a bit stiff side but it filters socks really well.Semi-digital speedo console is very informative.Clip-on style handlebars enhance its look.Self-cancelling indicators are the special feature for this bike .overall graphics, and design of bike in looks new and attract young generation.Pulsar NS200 is the sibling of Pulsar RS200 but it comes under street naked bike segment. We have tested Bajaj Pulsar on the race track and the figure we get is 9.55 Sec.Although it is approx figure because it depends on many factors like a weight of the rider, wind, Tyre pressure and any other changes with exhaust. We have tested Pulsar ns200 and rider achieved 150 kmph top speed .but our GPS System Shows 135 kmph which is more accurate then speedometer. In the city, it gives around 45 kmpl and on highway it gives 49 kmpl mileage.although it depends on the rider that he rides 60-80 kmph and abstain from hard acceleration to achieve higher mileage during the long ride. The new 2017 Bajaj Pulsar NS200 has 199.5 cc, 4-stroke engine which gives around 23.52 PS at 9500 rpm maximum power and 18.3 Nm at 8000 rpm peak torque.it has the 6-speed transmission. Front Suspension is Conventional Telescopic Forks and rear is mono-shock.Pulsar rs200 is equipped with Single Channel ABS. It has very good 167 MM of ground clearance .which is superb for band Indian roads.Wheelbase is 1363 MM good for riding quality.The fuel tank is 12.0 LTR which is adequate for Street bike.The weight of PULSAR NS200 is 152 Kg. Bold shape means that it feels heavy and more muscular. Its thicker handlebar grips have an enhanced graphics and reinforce the feeling of control, Although it being a large bike. Riding the bike is simple and enjoyable: the overall seating position is Adequate upright, ideal for moving through city traffic, and the seat has been positioned higher in respect with a shortened wheelbase, lending it greater agility. The seat is solid but can feel a little too much soft– you’ll start to notice it on long journeys. 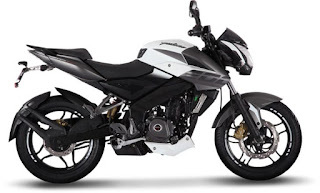 Pulsar NS200 has alloy wheels. The front tire is a 100/80 x R17 inch, 52P, and the rear is a 130/70 x R17 inch, and Tyre pressure 61P.The Bike tyre is bit slippery in wet condition, Any other good tyre(Michelin,perrelli,MRF) for Pulsar NS will do the work for you. It is a high-performance 200CC bike with a strong and capable chassis and excellent handling city as well as highway. 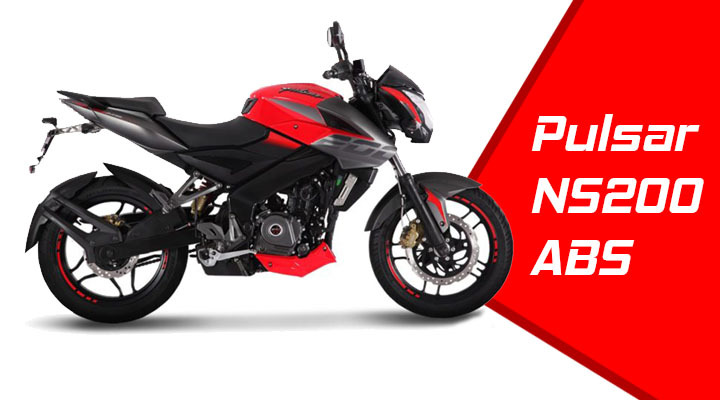 Adequate performance of the Pulsar NS200 doesn’t disappoint, it is one of the best deals in the Segment and worth it. Many customers is waiting for the ABS version of Pulsar NS200 since it was launched early this year.Pulsar NS200 is value for money and made up for Indian roads.Please take a test ride before making your mind for Pulsar NS 200.Rivals of this bike is Apache rtr 200.We already compare these two bikes. Please Ask any of your questions by Comment below.